Regular auto service is important to your vehicle’s health, but finding time to schedule that service can be a pain. That’s why we make it easier than ever to make an appointment with our online service scheduler. 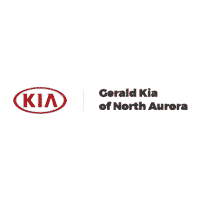 Schedule Your Next Kia Servicing or Repair Online at Gerald Kia of North Aurora! Are you in need of Kia maintenance or repairs in North Aurora, IL? Here at Gerald Kia of North Aurora, we’re proud to provide Kia drivers with a fast and convenient servicing experience every time they visit our team of factory trained Kia mechanics in our service center. If you’re looking for the most convenient servicing experience in the area, we encourage you to schedule your next service appointment online, that way you can choose a time that’s best for you, as well as give us notice as to what issues your vehicle is experiencing, allowing us to diagnose and fix them quicker than ever! Whether it’s been a while since your vehicle last received attention or something isn’t performing the way it should, we welcome you to schedule an appointment at your earliest convenience to have any issue taken care of in a fast and effective manner. Our team of Kia technicians specialize in all things Kia and work with the latest equipment, diagnostic tools and genuine Kia parts to get your vehicle back in like new condition using the tools and parts that were meant for the job. Other third-party garages work on a multitude of vehicles and may not have the expertise that your vehicle requires. They also tend to use aftermarket parts when repairing vehicles, which can deteriorate quicker than genuine parts and leave you paying more and spending more time having your vehicle repaired. Our team, however, possesses the expertise and parts to address any issue quickly and correctly every time! From oil changes and tire rotations to brake servicing and mechanical repairs, if you’re in need of repairs or maintenance on your Kia vehicle, we invite you to schedule a service appointment online to enjoy the most convenient and quick service experience around at our service center in North Aurora, IL! Simply choose a day and time that works best with your schedule, and if you’d like to, tell us about your Kia model and what the problem seems to be, that way we’ll be expecting your arrival and be standing by ready to to get to work as soon as you arrive at our dealership! Before you schedule your appointment, we welcome you to check out our wide selection of service specials to see if there are currently any savings that you can take advantage of on the servicing issues that you need addressed. Our service specials are constantly changing, so if you can’t find savings on your specific servicing need one month, the next month will feature a whole new selection to save on.